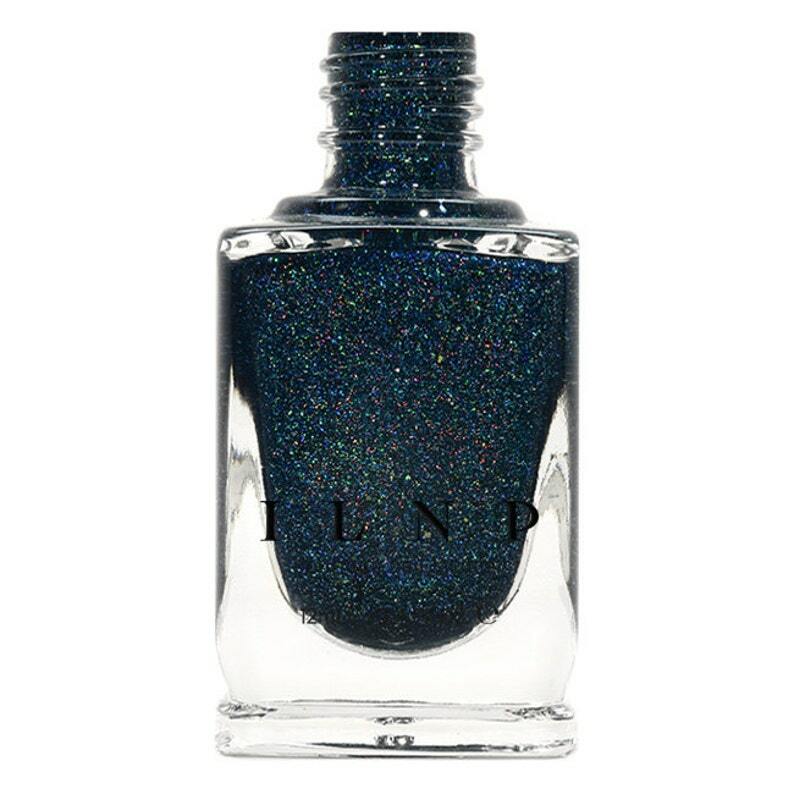 After Midnight is a crisp, Prussian blue holographic nail polish. Studded with the perfect amount of metallic gold flakes and holographic pigment, After Midnight offers a truly unique finish that you’ll find yourself dreaming about! Please be advised that this listing is for 1 (one) bottle of After Midnight holographic nail polish. Any base colors used in swatches and other photographs are not included unless otherwise stated. LOVE this nail polish. It is colorful and lasts. I haven’t used it yet but the color is lovely! Thanks for the super fast shipping! This polish is foolproof. Great for people who don’t have time to polish their nails. Easy application and quick drying time. Love!